CalAmp is a proven leader in providing cellular solutions to a broad array of client applications. 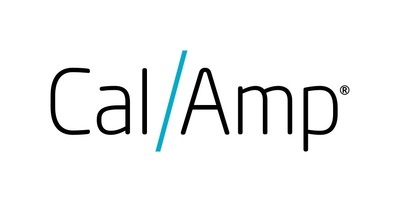 CalAmp's extensive portfolio of intelligent devices and targeted software applications streamline otherwise complex M2M deployments, optimising their operations by collecting, monitoring and efficiently reporting business critical data and desired intelligence from high-value remote assets. Established in 2009, China-based Queclink is a leading manufacturer of GPS trackers, delivering reliable devices to 120 plus countries. It provides both 'off the shelf' and ODM products for automotive, fleet, asset and personal tracking. M2M Intelligence; Connectivity and Control for the Internet of Things. Our simplified IoT network architecture provides greater security and resilience, our multi-network SIMs maximise coverage throughout the UK, EU and more than 180 countries and M2M Insight, our management platform provides unmatched visibility and control over even the largest complex deployments from a single page. Esendex is a business communications provider helping thousands of customers communicate more effectively worldwide through intelligent Multichannel solutions; SMS, Voice, Mobile, Web & Email. Through innovatively applied, best-in-class communication technology, Esendex are transforming the way businesses communicate leading the market in service delivery and an unrivaled commitment to customers. Virtual Access is a telecommunications equipment and solution provider, offering a range of devices that are used to deliver wired and wireless managed connectivity services for telecommunications operators and large enterprises utilising broadband technologies including DSL, GSM/GPRS/3G/4G LTE/CDMA450, Ethernet in the First Mile and VoIP. CF Capital PLC was formed in 1988 and has grown organically to become one of the largest and most powerful broking organisations in the UK. To date, we have arranged in excess of 300,000 leases and enjoy strong relationships with the UK’s leading banks, funders and financial institutions. Ask us for a finance quote for your next batch of telematics equipment - speak to your Simple Solutions sales agent.